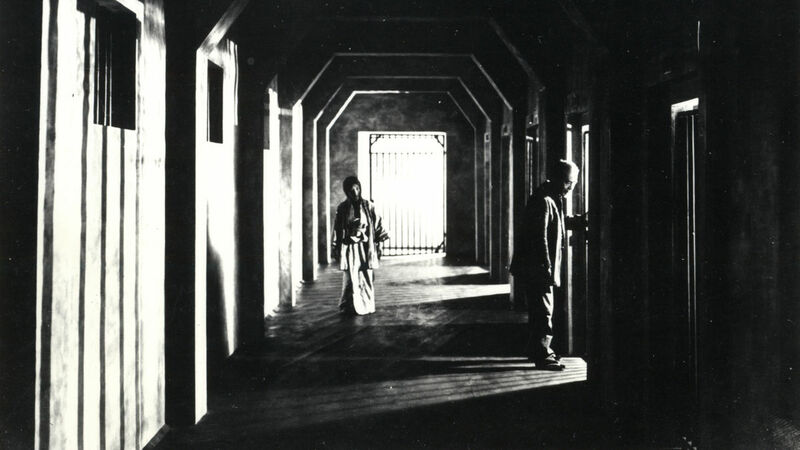 Director/Producer – Teinosuke Kinugasa, Screenplay – Kinugasa & Yasunari Kawabata, Photography (b&w) – Sugiyama Kohei & Eiichi Tsuburaya, Art Direction – Chiyio Azaki. Production Company – Teinosuke Kinugasa. A series of portraits of the patients at a Japanese mental asylum. A husband has gotten a job as a janitor in order to be near his wife who is one of the inmates. 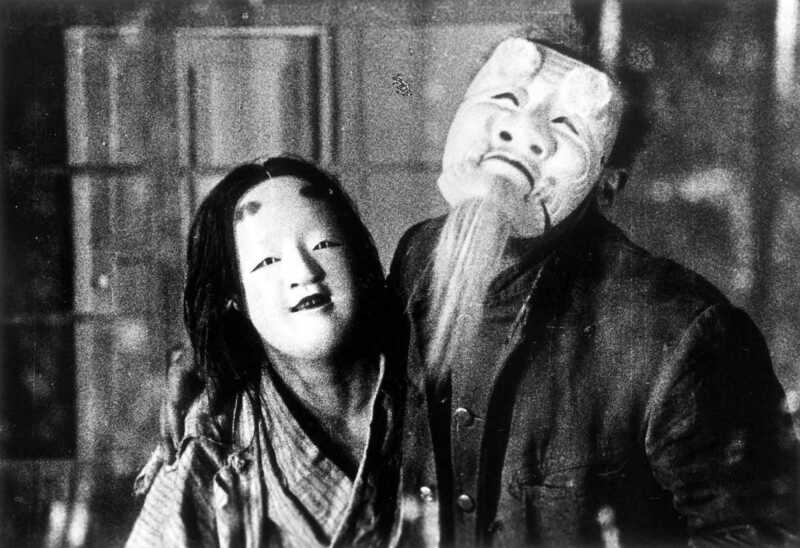 A Page of Madness is a legendary silent Japanese film. Its reputation is widespread and it has been the subject of a number of academic essays, even an entire book. A Page of Madness may well also be one of the most academically acclaimed but least actually seen films in history – it is barely known outside of film societies. In recent years, it has gained a new life being revived at film festivals along with live accompaniment by various musicians – this was one such screening at the 2004 Wellington International Film Festival, with accompaniment by Sheffield-based twin brothers Klive and Nigel Humberstone, who jointly perform as In the Nursery. A Page of Madness was made by Teinosuke Kinugasa, a director who has developed a certain legend, almost singularly because of A Page of Madness. Kinugasa is an interesting figure – before becoming a director, he was one of the last onnagata performers (men who traditionally played women’s parts on stage and would often dress as women in their everyday lives) before the tradition began to be phased out and women actors employed. The print of A Page of Madness was believed lost – along with many other Japanese films from the silent and early sound era that were destroyed during World War II – until Kinugasa himself found a print (rumour has that he found everywhere from his garden shed to buried in a rice barrel). Teinosuke Kinugasa (1896-1982) made nearly 100 films within his lifetime but only one other of these has ever been released in English-language prints – the period drama Jigokumon (1953), which won the Palme d’Or at Cannes and a special Academy Award for Best Foreign Film in 1955. Several other of his films have fantastic seeming titles – The Golden Demon (1923), Spirit of the Pond (1923), The Female Demon (1928), The Snake Princess/The Serpent Princess (1940), The Fantastic Tale of Naruto (1957), The Bronze Magician/The Sorcerer (1963) – although there is no further information to hand concerning any of these. What has made A Page of Madness such an acclaimed classic is the novelty of its style. At a time when silent cinema was just beginning to blossom beyond its initial novelty and starting to discover the artistic possibilities inherent in the medium, Teinosuke Kinugasa was way ahead of his time. There are many similarities between A Page of Madness and The Cabinet of Dr Caligari (1919), which Kinugasa claimed never to have seen before making the film. Both A Page of Madness and The Cabinet of Dr Caligari break away from literal depiction and move into subjective space to show the interior worlds of mad people. While Caligari is distorted and exaggerated in terms of lighting and the sets, A Page of Madness goes the opposite way. It is a frenetic barrage of editing and shifting points-of-view, where Kinugasa flips and changes points-of-view between the objective and interior spaces of the mad, between the present and flashback with a feverish regularity. You could say that while Caligari is clearly Expressionist, A Page of Madness is an Impressionistic film. Teinosuke Kinugasa claims that his influence of style was Sergei Eisenstein, who patented the montage edit, while many of the lens distortion effects are unquestionably borrowed from Abel Gance. Equally so, A Page of Madness in many way looks forward to the surrealistic deadpan montages of early Luis Buñuel works like Un Chien Andalou (1928) and L’Age d’Or (1930) and Jean Cocteau’s The Blood of a Poet (1930). That said, I must confess that I found myself admiring A Page of Madness more for its avant garde artistic flourish more than I actually enjoyed watching it. The surreal montages and abrupt changes between different people or objective and subjective points of view is completely disorienting, while the film lacks anything that even remotely resembles a narrative. The problem here is that these modern musical accompaniments tend to remove A Page of Madness from its original mode of presentation. There are no intertitle cards explaining what is happening in the film – whereas A Page of Madness was made in the Japanese silent cinema tradition where the script that was narrated live by benshi (storytellers). The benshi tradition became such that many of these performers became stars in their own right. However, bereft of these storytellers today, A Page of Madness is a bewildering kaleidoscope that makes little sense to the observer. That said, the images are often striking. I particularly liked the ending where calm is eventually restored by the janitor placing Noh masks on each of the inmates and the final fadeout of him calmly mopping the floor.